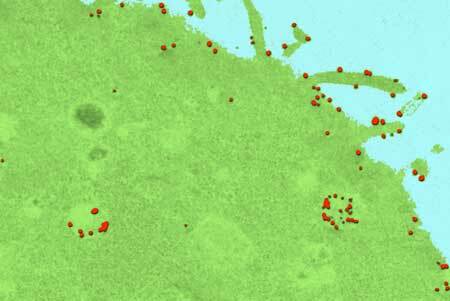 (Nanowerk News) With targeted drug and gene therapies, finding the target cells is only half the battle. Once these agents reach a cell’s surface, they still have to get inside and do their job. University of Illinois researchers say they now know how to track and map drug and gene delivery vehicles to evaluate which are most effective at infiltrating cells and getting to their targets, insight that could guide development of new pharmaceutical agents. The researchers described their tracking system and their findings on the most effective delivery vehicles in the journal Nature Communications ("Single quantum dot tracking reveals the impact of nanoparticle surface on intracellular state").